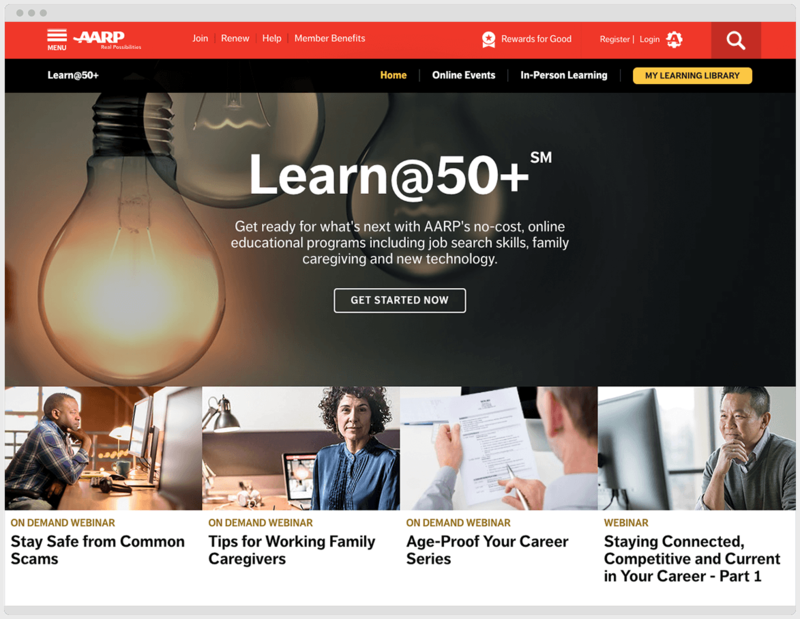 To strengthen their position as a source of information and learning, AARP wanted to boost registrations for their Online Learning webinars and resources. We took what they were already doing and refined, redesigned and optimized it all. The idea was to make every element of the campaign work — not only harder, but smarter. Everyone understands the value of ongoing learning. We just made the benefits of each featured webinar or resource a lot more apparent, while “cross-selling” other free learning opportunities. And our automated dashboard gave us the data and flexibility to tweak when and where necessary. This led to a complete redesign of the emails. Ultimately, every channel directed potential learners to a multi-registration page and genuine engagement. It’s working big-time. Our refinements are leading to a significant increase in engagements, registrations and, of course, learning opportunities for people nationwide.